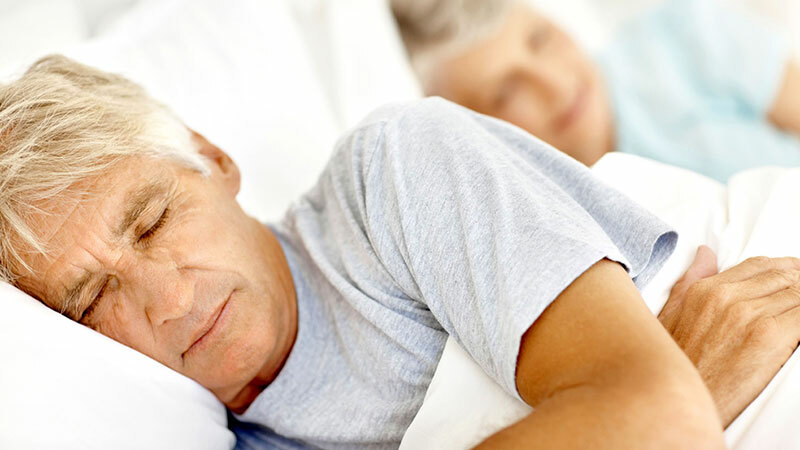 You are at:Home»Mental Health»Sleep-Related»Older People Sleep Less. Do You Know Why? It’s long been known that the older you get, the less you sleep. There are many proposed reasons for why this happens, and they include new medications, psychological distress, retirement or simply the theory that the elderly need less sleep. But a new study from Beth Israel Deaconess Medical Center and University of Toronto researchers offers, for the first time, a neurological reason for the phenomenon: namely, that a specific cluster of neurons associated with regulating sleep patterns, called the ventrolateral preoptic nucleus, may slowly die off as you get older. “The more of these cells you lose from aging, the harder time you have sleeping,” lead researcher Clifford Saper, M.D., Ph.D., chairman of neurology at the Beth Israel Deaconess Medical Center, told us. The new findings, published in the journal Brain, could one day lead to development of medication that would smooth disrupted sleep patterns by specifically targeting the neurons pinpointed in the study — and it would do so without negatively affecting other functions, like balance, the way some current sleep medications do, explained Saper. He then sought to replicate his findings in human subjects. Saper analyzed a dataset of almost 1,000 subjects who had entered into a memory and aging study back in 1997, when they were all healthy 65-year-olds. As part of the study, they had all agreed to wear a small watch-sized device on their wrists for about 7 to 10 days, every two years, that would record all their movements. Upon their deaths, their brains were donated to science, so research could continue. Saper chose 45 brains to examine, based on whether or not the ventrolateral preoptic nucleus was still intact. First he stained the brain in order to find the cluster of neurons, which were located in a similar part of the human brain as the rats’ brains. Then he linked the neurons found in the brain to the rest-activity behavior data collected in that person’s final year of life. He found that the fewer neurons one had, the more sleep fragmentation that person experienced in the last year of life. Brains with the largest amount of neurons (over 6,000) belonged to people with longer, uninterrupted sleep. Another key finding from the study: The link between fewer neurons and less sleep was even more pronounced in people who had died with Alzheimer’s disease. Because people with Alzheimer’s disease often end up being institutionalized over the issues that can stem from disrupted sleep (like nighttime wandering), Saper said his Alzheimer’s finding may be “key” to figuring out how to keep those patients home with family members. “If we could develop medications that helped Alzheimer’s patients sleep through the night, without causing them to have increased risk of falling, this could keep some people out of nursing homes,” he said.